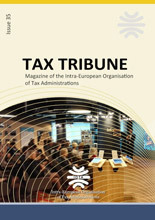 In this magazine, we publish a wide selection of articles on the relevant issues tax administrations are facing today. This edition contains 17 working papers written by speakers from the various workshops IOTA organised throughout 2016. In these events, we provide the opportunity for tax administration officials from our 45 member countries to share best practice on effective and efficient approaches in dealing with the current issues and challenges facing todays tax administrations. Our workshops gather a lot of useful information that is interesting for tax professionals in Europe and beyond. The main purpose of our magazine is to share with a wider community the information, experience and analysis that our workshop participants gained from each other.